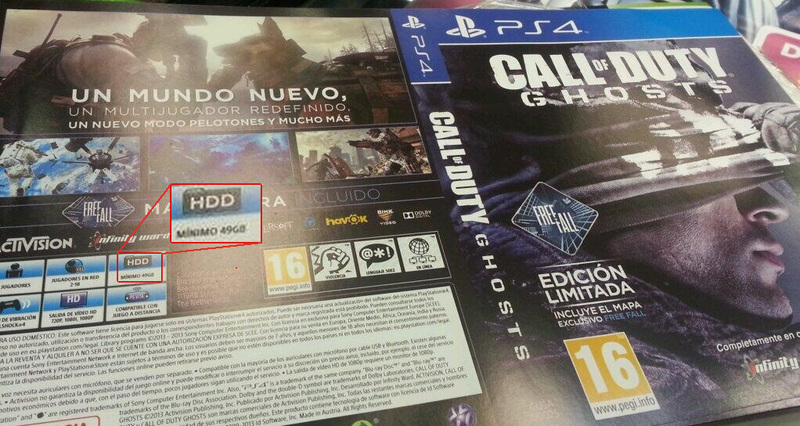 The back cover for the PS4 version of Call Of Duty: Ghosts reveals that the game requires a minimum of 49GB of space on the PS4 Hard Drive. The cover was posted online by twitter user B4d_HabiT, and has since been taken offline, but not before we managed to grab a copy of it. 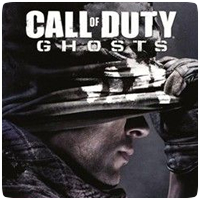 It seems that the entire game needs to be installed on the hard drive before it can be played, even though it’s the Blu-ray version of the game. If all games require this kind of space, you’ll only be able to install around 10 games on the console before you run out of space.